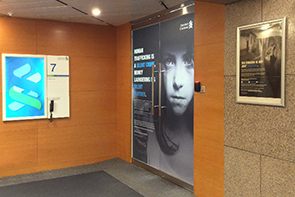 Standard Chartered was facing a challenge in expanding their Financial Crime Compliance (FCC) team, the candidates lacked awareness and understanding of the FCC function and believed it to be “just a compliance role”. 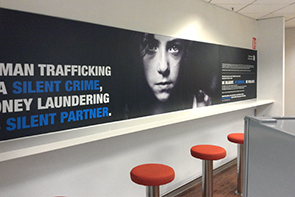 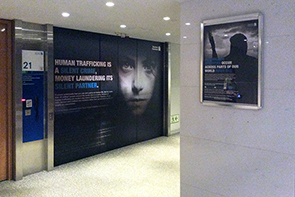 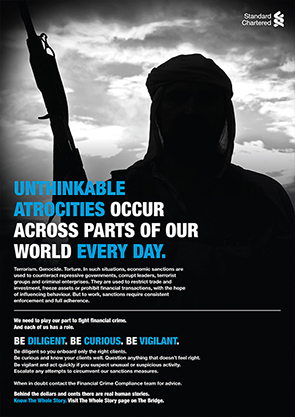 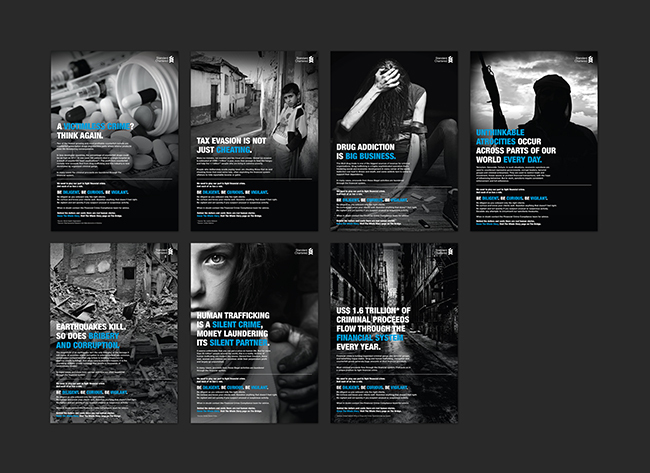 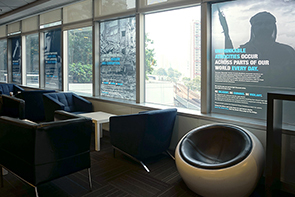 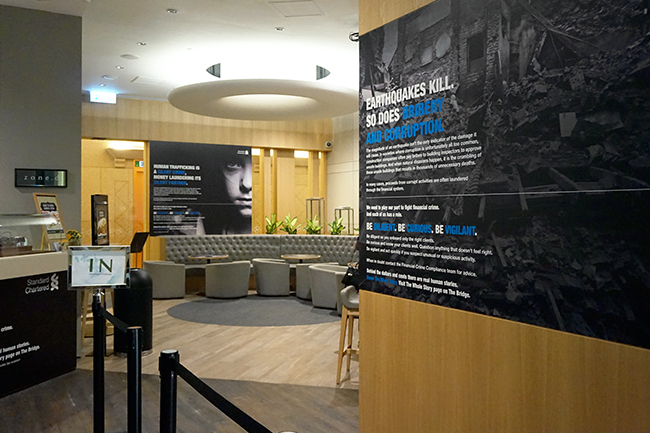 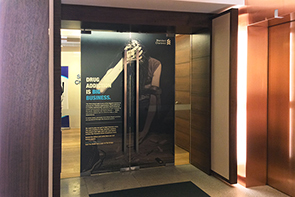 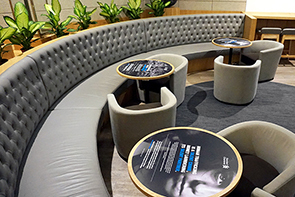 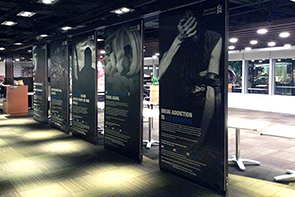 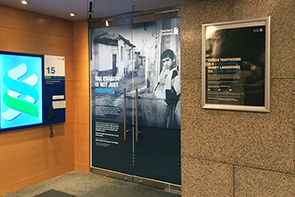 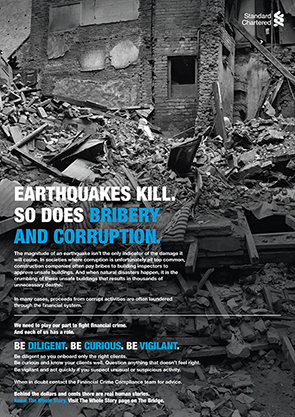 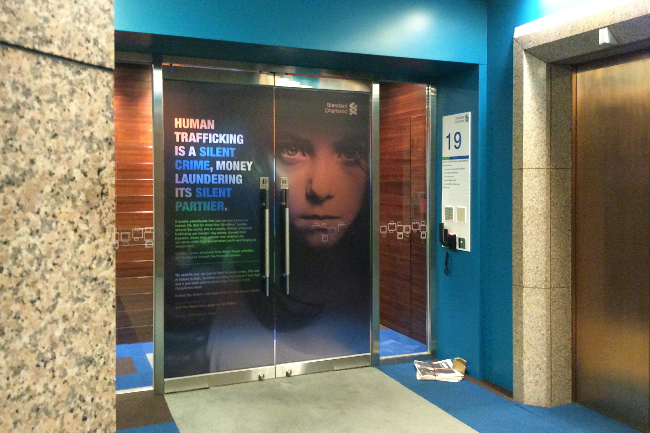 We developed The Whole Story campaign with a set of advertisements and installation across the offices of Standard Chartered to increase employee's vigilance. 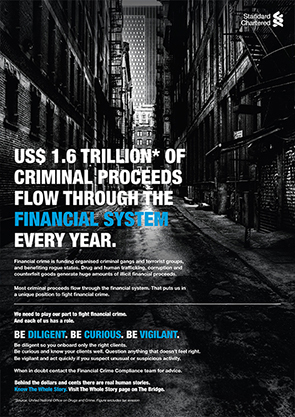 Financial crime is much more than money. 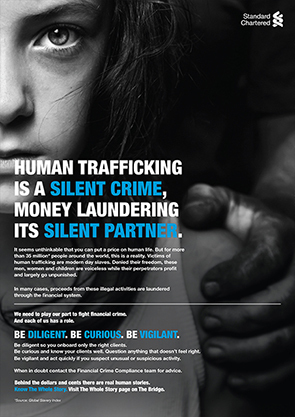 There are real human stories behind the dollars and cents. 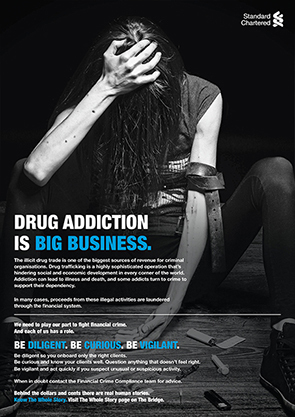 The advert showed images of some serious crimes such as drug addiction, tax evasion, corruption, human trafficking... to arouse their attention that sometimes these criminal proceeds are laundered through the financial systems. 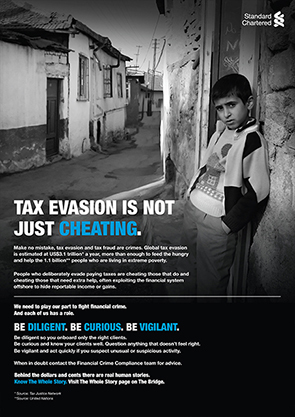 If they are not doing a good job to stop suspicious transactions, they maybe accomplice as well. 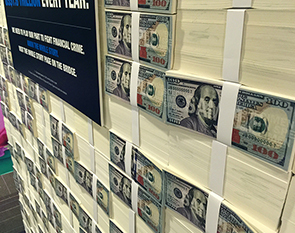 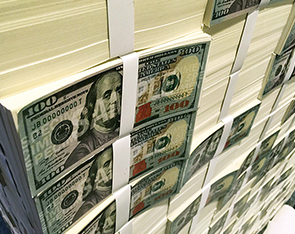 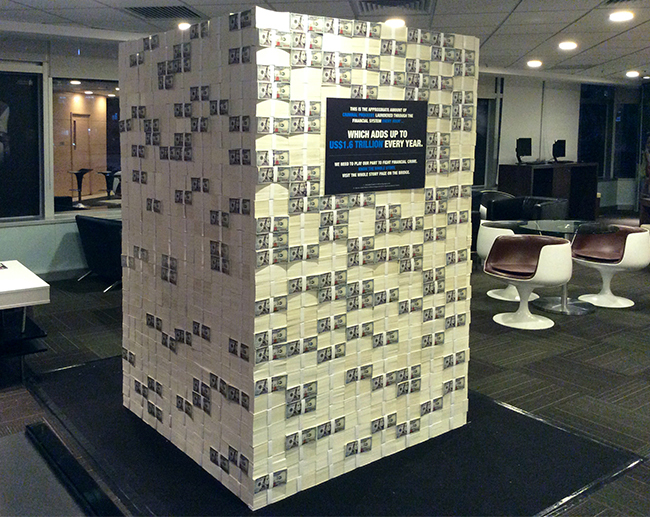 The installation in the cafeteria is a big stack of US$1.6 Trillion banknotes, displaying the total criminal proceeds that flow through the financial system every year. 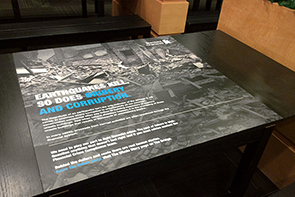 It created a large visual impact to tell the importance of how much money has fallen into the gangsters that they needed to be more alert and diligent to avoid unusual or suspicious activities.